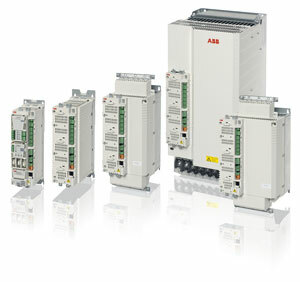 ABB winder program delivers all functions commonly needed in winding applications. The winder program is a ready-made application program for ABB high performance machinery drives, covering a power range from 0.75 kW to 110 kW. The program incorporates all functions commonly required in winding applications and in most cases eliminates the need for an external PLC, resulting in cost savings. The program is an optimal solution for precise winder control in textile and plastic manufacturing lines, and also paper converting and steel processing machines, ensuring high-quality material handling. The application program can be used both for the winder/unwinder sections and the in-feed sections. ABB high performance machinery drives with winder program use Direct Torque Control (DTC) technology for both synchronous and asynchronous motors. This allows accurate control of speed and torque with or without feedback from the motor shaft. If higher speed and torque control accuracy control is needed, motors can be equipped with a highresolution Sin/Cos (1Vpp) encoder, a TTL/ HTL encoder, or a resolver.